St. Joseph’s Academy is Residential, co-eduation, English Medium School located in Dehradun city. It is one of the reputed high Schools in the Region of Dehradun, Uttarakhand, India. 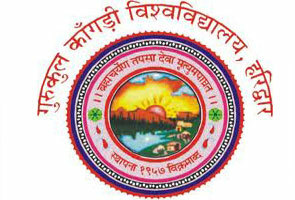 Founded in 1934 the school offered education from Nursery to 10+2 level. 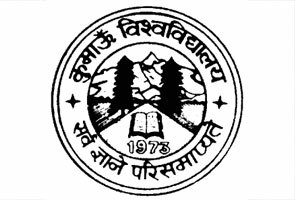 It was started with only aims to impart top class education among the students of Uttarakhand. The school is ruled by the people of the Patrician Brothers’ Institute. St. Joseph academy is considered as one of the oldest and best Schools of Dehradun. At present, it has more than 3500 students, about 130 teachers and approx 40 additional staff on roll. St. Joseph’s Academy at Dehradun is associated to the ISCE board- Council for the Indian School Certificate Examinations, New Delhi for the standard 10th and 12th board examinations. The school’s academic session is divided into 3 terms and its session’s starts from April and ends in March month for the next year. As it has received the affiliation from ISCE board therefore it follows ISCE all norms and education pattern for examinations. St. Joseph’s Academy is recognized for directing National Institute of Open Schooling Examinations for secondary and senior secondary levels two times in a year-i.e. month of May and November. Admissions for these levels are held in July or August month for the subsequent year’s examinations. For this various subjects are offered including Secretarial Practice, Home Science, Typewriting, etc. The presidency International School possesses well designed infrastructure having all the latest facilities that today’s students are seeking for. It has well equipped and spacious classrooms, a big library, audio-video assistance for learning, and computer education from class 3rd. The admission process for this school is simple but it does not allow admission for class second or above in case student don’t hold transfer certificate of his/her previous recognized school. Transfer certificate (TC) is must for admission and it should be attested by the Secretary, Council for the Indian School Certificate Examinations (ISCE), New Delhi and The Inspector of Schools in the State where that School is located, if it is outside from Uttarakhand. Admission to class 11th will be made by analyzing the results of class 10th with ICSE board and the personal interview or counseling. The academics in class 9th and 11th are not automatic. The selection of subjects given and/or the stream (Science/Arts/Commerce) will be allowed to the students on the basis of their performance in the 8th level ICSE examinations. The admission fee, development charges, annual fee and the first installment of the academic fees must be paid in advance to complete the admission process. After the successful completion of the admission process, no fees will be transferred or refunded under any condition. All admissions will be made strictly on the merit basis of the student. Any try to request admission by giving a donation to the school or by some reference will expel candidate from receiving admission. St. Joseph Academy has the best infrastructural ability in School. 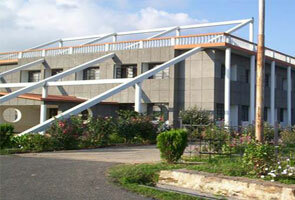 It possesses well designed campus with all the required facilities. The buildings of this school are made from modern techniques. Its Auditorium, well prepared with the best audio-visual features, all the class rooms, science and computer labs are well furnished and airy. It has big central library where student can study with peace. The school believes in all around development of students. They well understand the importance of sports for the complete physical as well as mental growth of children therefore St Joseph school provide special courts and fields for tennis, squash, basketball, and other games. Students are promoted to participate in at least one game according to their interest. It has one of the largest playing fields in the town. The School possesses three basketball courts, two tennis courts, three full sized Soccer fields, and several other athletic facilities. If you have any queries regarding St. Joseph’s Academy Dehradun for 2015 Admissions, last year Results and other important information related Exam Dates of the following year, you may contact at below listed St. Joseph Academy contact details.